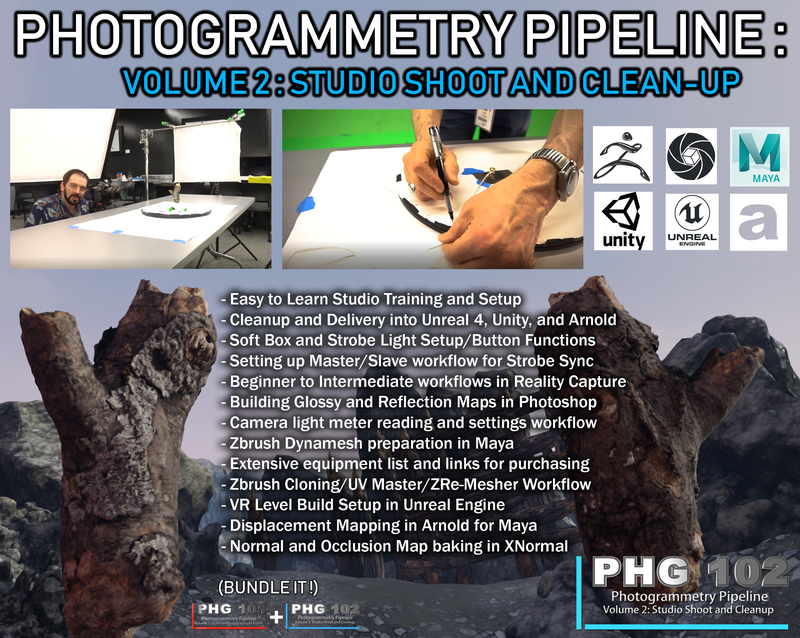 ALSO AVAILABLE IN A DISCOUNTED BUNDLE WITH PHG 101! In this 4 hour tutorial we show beginners how to budget, prep, and shoot using a photogrammetry studio setup. From there we go into Reality Capture to create the asset in 3D from the RAW images taken on set. With some cleanup in maya and zbrush we quickly move the asset for presentation in Unreal 4, Unity, and Arnold for Maya.